Nina is a PhD student from the West African Science Service Centre on Climate Change and Adapted Land Use (WASCAL) in Ghana. She is an early career scientist who graduated a Master degree in the field of Climate Change and Human Security. So far, her research works focused on surface water modelling. Actually, she has worked on the assessment of future climate impact on the discharge of a transboundary river shared between the Republics of Benin and Togo, called Mono River. Francis Oussou is a Freelancer at the National Water Institute at the Applied Hydrology Laboratory in Benin. Water infiltration through the soil towards the groundwater is a complex process not well covered in my home country, he says. 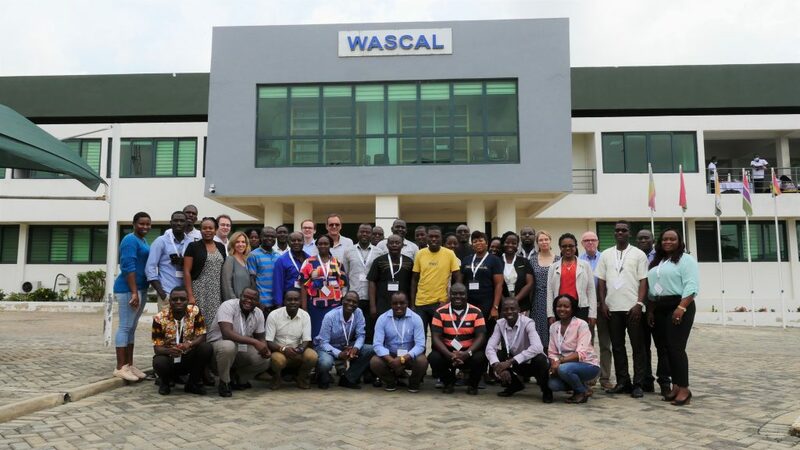 Francis has been using satellite images for water analysis, but as there is a huge released database available he is planning to build a platform which can collect those data in real time and provide maps and other derived product for free in West Africa. The Terrestrial Modelling and High-Performance Scientific Computing course program served as a tool to achieve that goal. Immaculata Emekwuru is a PhD research student at the Department of Microbiology, in the Rivers State University, Nigeria. Her current area of research is on modelling tools for assessing the Microorganisms and Soil quality associated with the Cucurbits plants found in the domestic waste dumpsite soils. She intend to use models taught at PASCAL to assess the microbial community and its influence on the flow of soil contaminants and nutrients surrounding the cucurbits plant roots. Boris is a research assistant at the West African Science Service Center on Climate Change and Adapted Land Use (WASCAL) in Ghana.